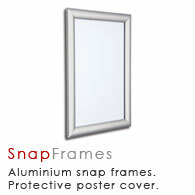 Internal poster displays are critical to the hospitality industry for promoting service offered and promotions. These can be wall hanging displays or window displays. This is the perfect choice for drawing attention to your special deals and events at your restaurant. These are very commonly used to promote special deals, events and general advertising. They are seen on the walls of the main customer areas, as well as on doors. New back lit LED displays are now used in the window to show menus and promotions. The backlit LED lighting makes it more amazing. 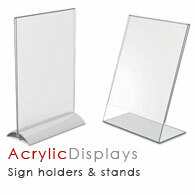 These small acrylic displays are part of the essential point of sale used in any hospitality establishment. 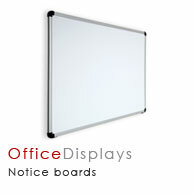 Quite frequently, an A5 or A4 size display is used to advertise a service, such as meal deal or free WiFi. Browse these categories under "Restaurants, Bars & Cafes"
No matter which sector you are running business in, you need to invest your resources wisely for the powerful promotion of your products and services. If you are a restaurant business owner and are looking for attractive, robust and reasonably-priced advertising tools, we can help you. Pure Display is regarded as one of the most reputed and reliable online suppliers of a wide range of restaurant bar cafe displays at the most competitive rates in the UK. With years of experience in this field, we ensure top-notch and fast service. We never compromise on quality and each of our products comes with the guarantee of robustness, durability and eye-catching appearance. All of our products are made from strong materials with fine detailing and excellent finish. You can have complete faith in the delivery of products of the finest quality. Our specialty lies in providing items suiting every type of budget. Browse through our broad collection of restaurant bar cafe displays. We will deliver your products within the shortest possible time. Subscribe to our free email newsletters and stay updated with our special offers.